Well MVPDays is a Microsoft focused community event that I have been helping my good friends @SuperCristal1, @DaveKawula with over the last few years. But in short is it is a 100% Microsoft Community event driven my their community of Microsoft Most Valuable Professionals (MVPs). This year Dave and Cristal decided to host their first event in the United States as all previous MVPDays were hosted in their home country of Canada. This time around we had a fantastic showing, in fact the MVP Lead for the Southeast of the States invited his MVPs to enter the CFP. 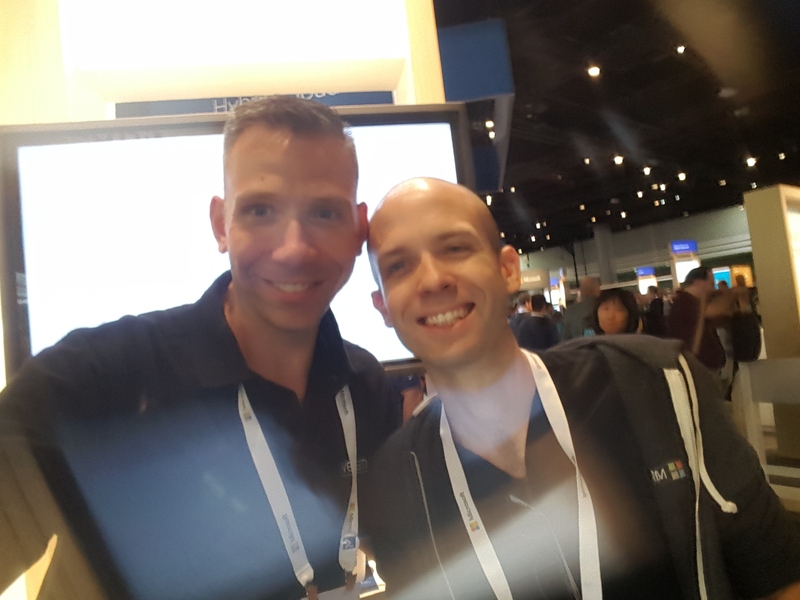 But my favorite part of this round of MVPDays was having Ed Wilson aka – The Microsoft Scripting Guys as well as Ken Hansen, Principle Program Manager for PowerShell @ Microsoft. Truly awesome! We were able to sit down with these guys for a few minutes and chat! So, Microsoft Ignite is their largest conference of the year and outside of MSBuild, which is a Developer only conference, Ignite is THE event for Microsoft. Last year, 2015 in Chicago, was the first time this event was run as it was a combination of many other MS events like MMS and TechEd. So what happened?!? The event started on Monday, September 25 and kicked off with a keynote session that was delivered in the Philips Arena – the same place that the Atlanta Hawks play NBA. This keynote was hosted by Julia White and quickly drew a comparison of what old “IT” or aka Information Technology to what the new definition of “IT” is being, Innovation & Transformation. Now I did not actually go to the keynote, I viewed it from the Expo room floor, as there were many different viewing stations setup around the conference. Julia turned it over to Scott Guthrie, Microsoft Executive Vice President and his famous red polo shirt. Scott discussed how business organizations are leveraging digital transformation to effect their respective business’ and how technology is playing such a key part in that transformation. 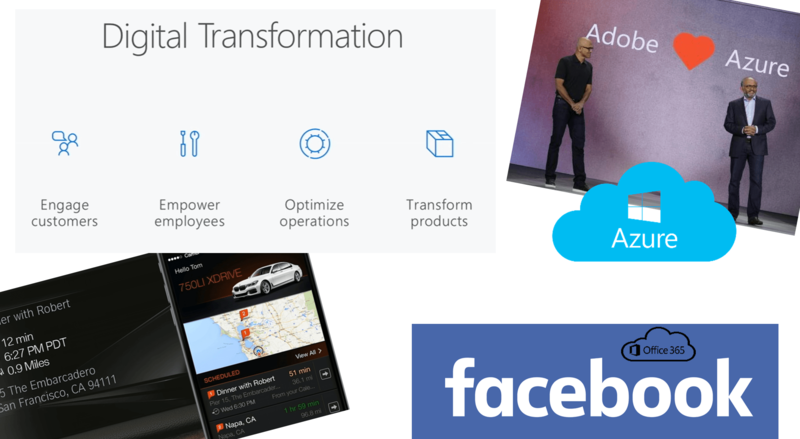 Several organizations that were featured in this segment of the keynote were Adobe, BMW and Facebook. Satya Nadella, CEO of Microsoft formally announced that Adobe will now offer all of their Cloud Services that are a part of the Adobe Cloud within Azure. BMW has leveraged Microsoft and Azure to transform the in car driving experience and Facebook has migrated all of their on-premises workers to Office 365. Windows Server 2016 is Officially ‘Soft’ Generally Available (GA)! System Center 2016 is NOW RTM! Azure Stack is NOW RTM! In a future post I will go in more depth on the Azure Stack pieces because a simple paragraph here would not do the service justice. In the afternoon of the first day Satya delivered his Innovation Keynote. The amazing part of this session was the intense focus on the power that BI can provide. Coolness that occured: Microsoft actually converted the entire contents of Wikipedia from English to Spanish in under a second. Now obviously this was done using the compute power of Azure. While this may sound cool, which I was impressed – no real business needs this type of horsepower. But you’ll soon be able to take advantage of this as Microsoft announced their own field programmable gate array, or FPGA, to accelerate these actions within Azure. Definitely pretty cool. Many sessions obviously went on during the week at Ignite. 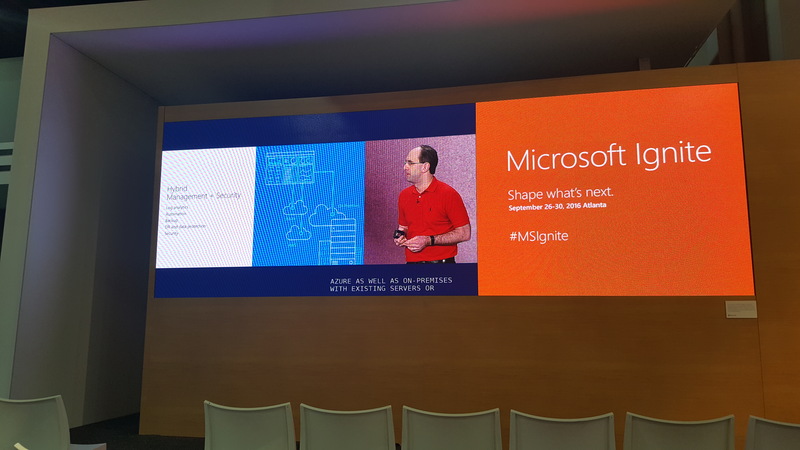 Microsoft is cool enough to open this content up to the public, so definitely check out the MSIgnite Channel on YouTube to view your favorite sessions and get the learn on! I generally focus on the big guns when I attend these shows as they’re more likely to give you less product pitch per se and more of the active and live demo sessions that we all want. So the names to search for on the infrastructure side of the fence are Ben Armstrong (Hyper-V), Jeffrey Snover (Nano Server, PowerShell and Azure Stack), Mark Russinovich (Azure Stack, Azure & Sysinternals – Performance). 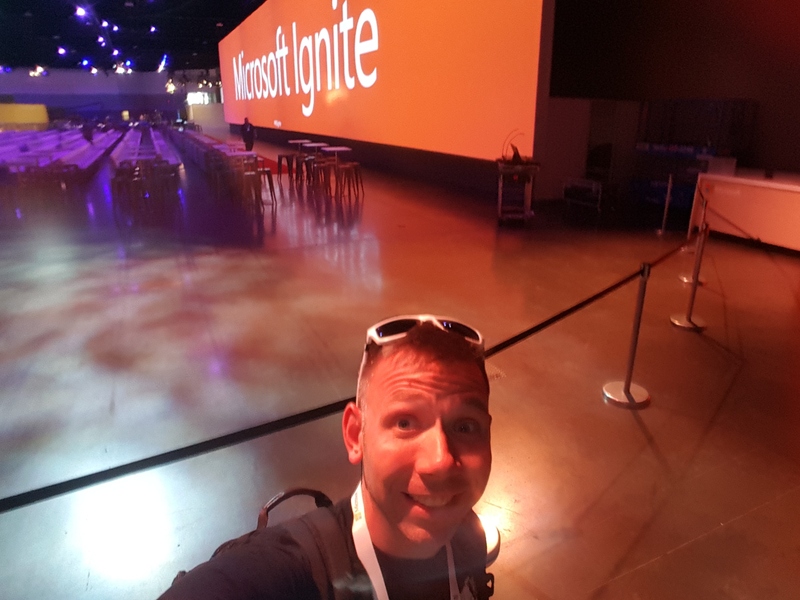 Above all MSIgnite was an absolute stellar event, where I had a fantastic time! I’d highly recommend viewing the sessions offline, because there’s just way too much to take in during the short week in Atlanta. Did you attend Ignite? What did you think of the event? What were you favorite or even least favorite parts? Share your thoughts with the community below! Nice write-up, and I agree MSIgnite was a great event. Thank God for OneNote as I created a huge notebook for this event. Here are my favorite sessions (in no particular order). Yes absolutely thanks for OneNote but also thank god for the ability to view the events afterwards. I’m curious what you found to be the most interesting about the ADFS session and the IT Cloud Career Path?